Axis Design joined the team of Architects for Birmingham Municipal Housing Trust (BMHT) in 2009. Since then we’ve worked on a number of sites, 5 of which are now complete. This important work to deliver quality homes for Birmingham City Council continues and we’ve had a busy few months working on several new sites. As things stand, we currently have 2 sites which have been submitted for planning approval (image below right) and we have recently gained planning permission for a scheme in Bartley Green. Additionally, work is underway on a site in Sheldon and we recently attended the official opening event for 27 new homes we designed at Pype Hayes. The homes at Pype Hayes have been a particularly interesting project for us. Back in 1989, Axis were appointed in an advisory capacity to the Pype Hayes Steering Group. Pype Hayes was an estate of over 1300 Boswell homes built in the 1930’s, but the buildings were designated defective and local residents formed a steering group in order to have control over the changes to the estate that were so desperately needed. Our involvement with the steering group led to our appointment as Masterplanners and Concept Architects for the wider masterplan of the entire estate. Our involvement with the Pype Hayes resident group continued and the final phases of the development of the estate was to be delivered under BMHT. Serendipitously for us, we had already been appointed to the architect’s framework for BMHT and the design of 27 individual homes which would form the final phase of the development fell to us. We were able to call on 20 years experience of working on the estate – we know the area well, we know the residents, and we were able to apply our experience of social housing design to ensure high quality homes for the final group of new residents. Birmingham City Housing Department throughout the last couple of decades means we have helped deliver a successful transformation on the estate. Retaining an involvement for 23 years makes this our longest running project since Axis Design was formed 30 years ago. A key handover event was held at the end of September 2012 to celebrate the success of the project, to recognise the hard work and dedication of the residents steering group, and to mark the completion of this last phase of works. The final 27 homes were delivered by Keepmoat Homes on behalf of BMHT in a process overseen by Capita Symonds. The photo (above left) shows representatives from the Pype Hayes residents group with Councillor Tahir Ali (3rd from left) at the key handover event last month. 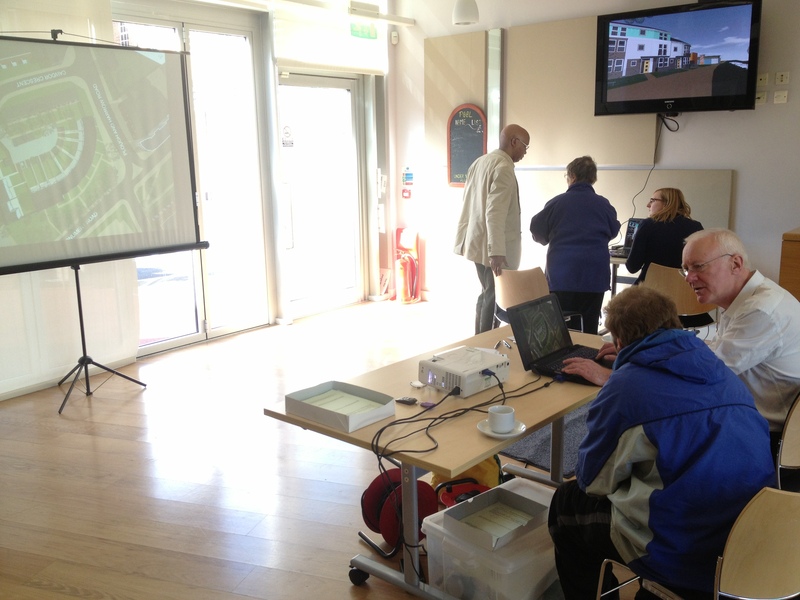 Over 50 local residents and community representatives came along to the public consultation event held in Ladywood last month for the latest Birmingham Municipal Housing Trust (BMHT) scheme we’ve been working on. We have developed 3D models in BIM which allowed residents to take them on virtual journey through the proposals, giving them a clear idea of how the area will look when the development is complete. Sharing these drawings and models prompted comments and feedback which form a valuable part of the design process prior to the submission of a planning application. We also created a dedicated website which will help us keep local residents informed of the project’s progress. 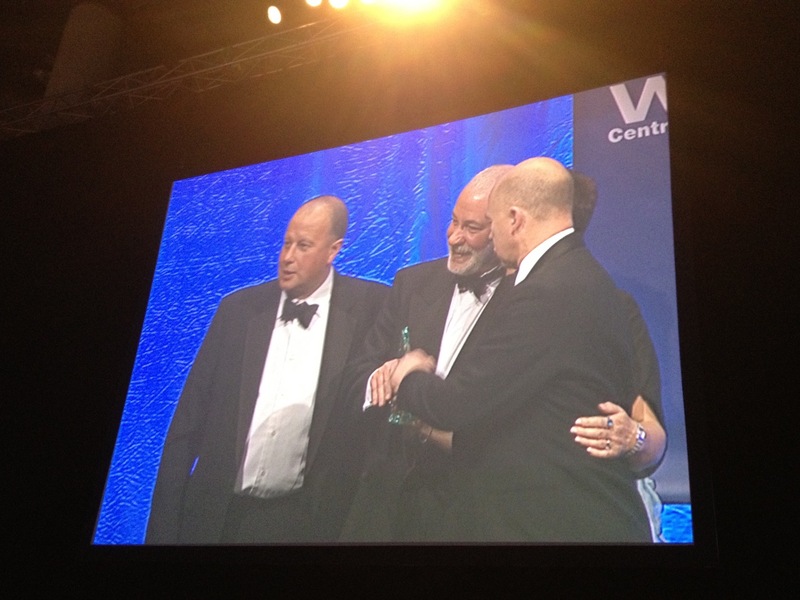 The deserving winner in this category is Birmingham City Council’s Homes & Neighbourhoods Directorate. They have shown a clear commitment to meeting the urgent need for high quality sustainable homes and communities providing a growing legacy for the city through BMHT. Axis Design Architects have nominated the BMHT Team for this category because they believe the project has greatly benefited from their positive attitude to open collaboration throughout – engaging in dialogue and supporting innovative housing solutions. Axis Design have been working with Birmingham City Council since 2009 to help deliver the local authority’s ambitious social housing project, Birmingham Municipal Housing Trust (BMHT). To date we have designed new housing on seven different sites across Birmingham and over the last few months, the team’s hard work has been rewarded with a total of four awards including the top prize in two of the industry’s most prestigious awards ceremonies. In September 2011, BMHT was the overall winner (Grand Prix) at Regeneration & Renewal Magazine’s Annual awards and also picked up an additional award in the Best Use of Housing category. Mary Holt director of planning and development at Scott Wilson and judge for the ‘Best Use of Housing’ category at the Regeneration & Renewal Awards, 2011. 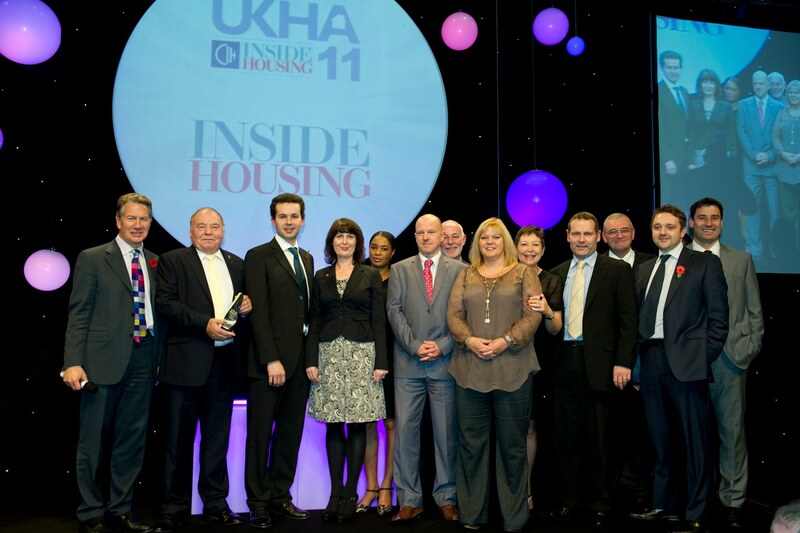 In November we were pleased to achieve another double win at the Inside Housing Magazine Awards (left); taking the trophy in the Outstanding Achievement in Housing in England category and also becoming the overall UK winner. Finally, BHMT was also shortlisted for Sustainable Housing Finance category of the 2011 Inside Housing Sustainable Housing Awards. We’re delighted by the success of the BMHT Programme and are looking forward to continuing our collaboration with Birmingham City Council and the BMHT Team in 2012. If you’d like to talk to us about our work and find out more about projects such as Queens Road or ecoterrace.co.uk, please come and visit us at the Climate Change Festival next week. We’ll be taking part in ‘Green Technology Day’ on Wednesday 4th June. Proudly powered by WordPress | Theme: axis by Gambit Nash.